I have to tell you, oh my gosh, I'm so excited, my solar screens came on Saturday and I actually put one up late last night because I was just busy all week and didn't have a chance. But we're going to put the rest of them up this evening. But I just have to tell you, they just look awesome and I think they are going to be absolutely perfect. And I just cannot thank you enough. I mean, your company, to deal with, was just better than anybody I've ever dealt with before. You were just so efficient and the quality of these screens and the turn around time...I just cannot thank you enough. I've had this issue with my windows for about 6-7 months and I was getting nowhere here in South Florida and you came to my rescue and I can't thank you enough. It was just such a pleasure doing business with your company and I'm going to refer you to my South Florida friends who need any time of solar screens or anything. I'm going to definitely refer you, and I'm going to give you also a review. I typically don't do reviews on Google and all of that, but you know what, I found you on Google and I'm going to give your company a great review. I just so so appreciate it. I'll send you a quick note of thanks too by email. I received my solar screens and they are perfect. Perfect, perfect, perfect. So thank you Buddy, it was a pleasure doing business with you. I had 6 windows made and the ones that I measured correctly fit wonderful. Unfortunately I miss measured 2 windows and they help me get the right size frame and screen no questions for next to nothing in cost. I will be getting all my solar screens form these guys. Thank you again! Ordered my solar screen kits for two windows and received them by Priority mail shipment just days later. We selected the 80% material, stucco color and tan frame, a nice color combination. I laid out the frames on the garage floor (did not have large enough table) and tapped them down after squaring them up. Then just followed the video on solarscreenoutlet.com website and presto, two large screens assembled in under 2 hours. The screens were perfectly cut to my specifications and the savings over ordering from other companies was significant. Screens look great!! Great product, and Solar Screen Outlet delivers as promised. Buddy was great to deal with from the first phone call. He was very helpful and answered all my questions and concerns. I ordered 7 screens in a period of 4 months and all screens came perfect and on time. On my last order Buddy even gave me a replacement piece that I damaged from a previous order at no cost. All the screens fit perfect as per the dimensions I ordered. My wife and I could not be happier with the results. I would highly recommend Solar Screen Outlet to family and friends in the future. Thanks for all the help. They were a very inexpensive, easy to assemble fix for some small windows we have that the sun shines through and onto our TV at certain times each year. Will have to wait to see how effective they are with the sun once it shifts later this year. I would have liked an option to buy 95% coverage, but I’m hoping the 90% will do the trick. They look like they were professionally made, and totally beat the quote we got of $500-$600 for custom sun screens for these two windows. I usually put my evaporative cooler on in April. Because of the screen I haven't had to put my cooler on. Dimensions were spot on and fabric is see through during the day. Great product even better experience! Can’t say enough good things about how well the product works or how pleased we were with the process! Received order quickly, great customer service. Including the hand written work order was nice, we could connect our purchase to an actual person that prepared it for us. Thank you! I'm so happy with my screens. Very easy to assemble be sure to follow the directions and helpful hints. After assembling the first screen I tried it on the window and found that it was 1/4" to long so I used my little hand held saw for metal and trimmed all the long pieces, easy fix, better too long than too short. The price was way better than the other place that wanted almost $200 just to ship. I live in Las Vegas and initially I tinted my windows, the solar screens work way better than the tint and they look just as good as my neighbors professionally done screens. I highly recommend this company the price is right and the free shipping was the kicker. Thank you. I ordered the 90% for a bay window that gets full sun all day. The screens were easy to put together. I can see through the screen better than I thought I would and it really makes a difference in how hot the house gets. When I first unpacked the box I didn't see the spline so thought they hadn't sent it so I did an online chat with the company. They were so nice; apologized and said they'd send it right out. As I was on the chat I found the spline so it was my fault not theirs but I'm happy with how the they responded. Highly recommend the company and their products. I purchased 6 windows, shipping was fast and on time. Everything was neatly packaged and labeled based on size and the name i gave the item, very helpful for assembly. It took me a total of about 2.5 hours to assemble and hang all 6 screens and it looks amazing. Thank you i will be ordering my last 2 windows soon and order extra casement clips i lost two of them. I live in a concrete block house with single pane aluminum windows in Florida. The front and 2 sides of my house are in sunlight for many hours. I wanted something to reduce the heat and still allow air flow. I also wanted something that was reasonably priced and looked good. The solar screens were the answer. I ordered 3 the first time to try them on the sides of the house. As soon as I put them up, both neighbors were raving about how good they looked. I ordered the screens needed for the front to finish off the house. It looks great, provides privacy and hides the ugly aluminum frames. I couldn't be happier and would highly recommend Solar Screen Outlet to everyone. Product arrived quickly, was perfect size, and was easy to assemble and mount. Web site videos are great for measuring and product selection. Order arrived ahead of scheduled date and was well packaged. It remains to be seen how the 90% solar screen performs in AZ but I'm optimistic. It was easy to assemble and install. Looks similar quality to what you could pick up frame wise at home depot for a lot less but you'd need to cut to size. Overall I'm satisfied with my purchase and would recommend these guys. First of all Buddy who works for the company was a great help, and very patient with all my questions and concerns. The product came fast and was very good quality as described. I am very happy and planning on ordering screen kits for 6 more windows in the next 3 months. The screen and frames worked perfectly! The screen roller worked just like it should; made the job a lot easier. Perfect fit! Gives privacy but plenty of light! Great job! It actually helps the house to be cooler! It was easy to install and looks nice outside our windows. Looking forward to order more for the rest of our windows for next summer. Thank you and great customer service too! I bought our solar screens for the french doors in our home & everything arrived quickly. It was simple enough to put together & really helps keep the sun & heat out of the house. Pricing for everything was very good. It also keeps the birds from killing themselves because the glass reflected back the trees & sky. Now, no bird strikes ever! Very pleased. Watch the (great) videos to decide which installation methods are best for your home, and how to measure. Have someone double-check your dimensions and order. I did buy the samples set and it made choosing colors easy. Shipping was fast. Watch assembly and installation videos and you’ll have professional screens at a fantastic price! Seriously! Love them. Wish I had ordered them years ago. Shipping was very fast. Ordered them at the beginning of the week, had them by the end of the week. Would highly recommend them. Called and talked to them over phone, confirmed what I needed and I ordered them. came in one box, easy to put together and install. I would definitely use this company again if the need should arise. Quality materials and excellent customer service. Very good value and very effective. Glad that kits are available! I've installed 80% and 90% solar screens on my home. Huge improvement!!!! Love these!!! I bought these [suction cups] to use with solar screen material on my front door that is full glass. Strong enough to hold in place and easy to snap caps on. Thank you for this product!! I received the screening 2 days prior to the original delivery date. The screening was exactly as described and does a great job blocking the afternoon sun on my porch. The kit was easy to assemble and install. The only tools I needed were a hammer and the screen installation roller. I plan on purchasing more soon for other windows on my home! Easy assembly and install. Made a huge difference in how hot the house gets. Nice product looks as good as the ones my neighbors paid hundreds more for. My purchase came with the wrong type of clips. A type that I couldn't even find on your website. BUT your customer service was excellent, sending me the proper ones. Someone needs to be a bit more careful putting orders together since there were 4 or the right type mixed in with 12 weird ones I couldn't use...My other suggestion would be to give your customers a bit more screen material. Just a teensy bit larger. Fast service, quality product, easy installation. Looks great. Take that to all you screen companies that wouldn’t service my home 40 miles north of Las Vegas, NV. Would buy again in a heartbeat. Well, takes time to assemble but it’s worth it. Did some testing on windows to compare them. Both windows were facing the sun. Out air temp was 94. I measured the temp about an inch behind the windows. The window without a screen was 91 degrees the window with a screen was 81! That’s a huge differences! During the evening time those two rooms are always hot compared to the rest of the house now they are just as cool! Only knock I have is they are pretty dark so I’d recommend the 80 percent stuff in your living room and kitchen and such. Good quality, was easy to put together. Really quick delivery (within 1 week). Nice communication with them on my questions. A good group of people to buy from. I originally ordered for 1 window to get rid of sun reflection on my turf. I ended up ordering one for another room in the house that has southern Arizona exposure. I am completely surprised at how much cooler that room stays. Also, installing was a very easy with the instruction videos on your site. Everything was shipped very fast and in immaculate condition. Solar Screen Outlet is A++! I will be ordering more for the rest of the house. These assemble very easily and look great on the windows. The 3M duo lock is a very convenient way to mount them as well. Fast delivery. Easy to assemble and install. Screens look great! This is my second order in a week or so. I am very happy with your product and level of service. The product fits just as measured and looks great. Thanks for being a great company to do business with. It’s nice to come across a company that makes fixing a problem so easy and affordable. I am very happy with the performance and look of the product. Thanks! The most difficult task is putting the frame together. Once the frame is set, apply the screen and spline is easy. Will order more solar screen kits soon. Everything arrived sooner than anticipated, screen framing was cut exact and enough over hang on screen to cover. All I can say is WOW. I saved a bunch of money here and they are easy to put together. The YouTube you have is great!!! the order came on time, all the parts are numbered. the kit is easy to do--- great savings thanks. easy except that instructions for cross bar could have been included in the main video. waiting to see if it really makes difference on temp inside. Saved big bucks!! I bought some 80% and 90% but I could not tell which was which. you should have marked them on the screen. I do need more of the 3m tapes. Can you send them to me. All I got was the package that said 96 on them. I need another pack of 96. Excellent experience. More to come. My order was delivered in two days. Everything assembled easily and fit perfectly in the windows. The screen fabric is much thicker than normal insect screens, so it does require more force to get the spline installed. The brick clips are a great way to install the screens. I only ordered enough for the east side of the house to take care of the morning sun and to try them out. I will be ordering more soon to do the rest of the house. An excellent experience. Excellent service, orders received in two days. I was very satisfied when I received my pre-cut screens. I put them together which was very easy and mounted them on my windows and love the outcome. these are the best !!!!! Once I put one together the rest were a breeze!! High quality, delivered on time, and the customer service they provided was awesome (had to call prior to purchasing to determine which attachment type would work best for my windows). Highly recommend! very high quality material and good prices. Second set for my Texas home...Excellent assembly and fit. This was my second order of screens I have received in the past three years. They were simple to assemble and install using the supplied brick clips. The older set I installed several years ago have held up great and improved the look of the home (19 yrs old). I believe that they make an impact on both comfort and reduced utility bills in my Texas climate. Great price, fast shipping, very good quality. Thanks. Fairly easy putting it together. I'm happy with the way it looks up on my door, and it does block the suns heat. I can't say enough about the great service I've received when I needed help. And the super fast shipping. Would buy again. Good quality frame and screen. It looks nice and blocks the sun's heat on my south facing windows. However the ends where they were cut were bent making it hard to insert the angles and the crossbar clips. Also the service is good since I asked for screws to convert from Velcro and they were sent right away. The screen really darkened my door. 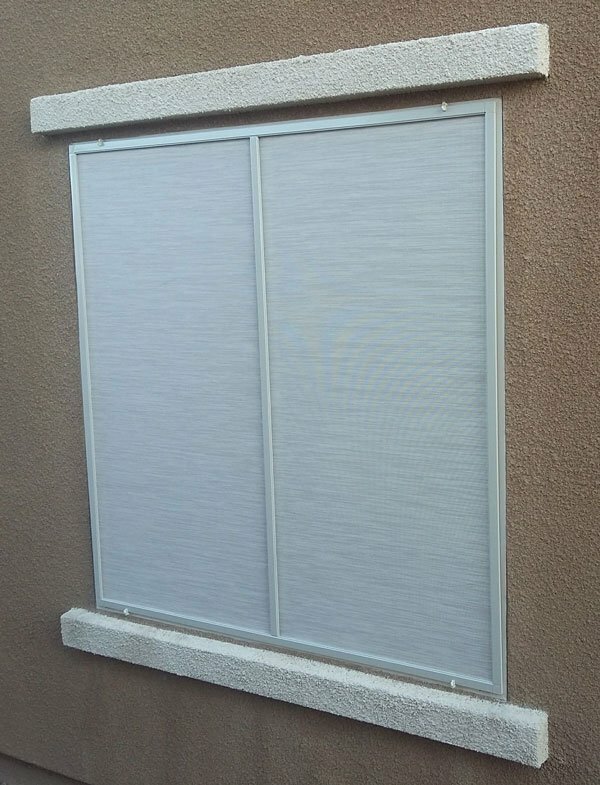 Searching for DIY solar screen for my 4 huge windows and, luckily, find Solar Screen Outlet. After several emails with the customer service, I decided to place my order of 2x 59x59 and 2x 71x65 windows. It arrived within 3 days. The first window was a challenge for me but I managed to complete it in 2 hours. The minute I had installed my first window, the temperature of the room that receives afternoon sun lights in Phoenix quickly drops to a pleasant level. No longer I will have to turn on A/C in the afternoon after work. If you really need high quality plus excellent customer service at an affordable price and are willing to spend a day to assemble your solar screen windows, Solar Screen Outlet should be on your list. Simple installation! We had fun putting the screens together but couldn't figure out how to get the crossbars on. So, that part was just a waste of money. Read the instructions before buying! Nonetheless, we are enjoying the cooler house in this desert heat. Received screen kits quickly. Easy to assemble. One screen had a flaw and they quickly sent a replacement. Thank you for standing by your product. The frame was bigger and thicker than my stock screen frame. The screen itself was tougher than my original screen. Following the instructions made for a tight professional looking screen. I will be buying more kits in the future for other windows. These screens really do the trick for the rooms I want cooler and darker. The 90% is very hard to see out of, so if I could go back, I'd select the 80%. Really love them! My distance between screens and brick was way different than your spec. called for, but made them fit and so far they work great! Thanks! Very happy with the screen quality. I texted with Buddy before I purchased and he answered all my questions and got me what I needed. It was very easy to install in our existing frames. We were only going to do a few windows, but now I think we will be ordering more!!! I ordered 8 window kits online using the measuring instructions from the website. The windows were shipped and arrived the next day. The assembly process was simple as all parts were cut to the correct sizes. The screens fit nicely and are doing their job keeping the Texas sun out of the west side of my home. I used brick clips for some windows and casement hardware for others and they made installation go quickly. I would highly recommend the screen kits, the website was truthful and helpful. Ordering was easy and the YouTube video was very helpful. Although I have made screens before this was good material and easy to work with. I will be ordering a second kit very soon. Next will be 80%. 90% is pretty dark! The 3M tabs proved a little tricky but I also had to reach my window from a hill. It's best to have a helper. Secondly, and most important, leave your screen in your window if you are using the 3M tabs. There will be a gap and flying bugs etc. can get in. Enjoy! Excellent quality screens and frame cut precisely to the dimensions I sent. Video to assemble and install frame was very helpful. This saved me hundreds of dollars. The screws that come with the product don’t work well when trying to attach to hollow aluminum frame. ACE hardware had better screws that held tightly. They were like $2.50 for 24. I purchased this (Screen roller tool) because it looked sturdy. I have used a plastic one in the past and it was very flimsy! This was comfortable in my hand and rolled evenly in the tracks. This screen was exactly what I was looking for. Very easy to assemble. This was my second purchase and things went much smoother than the first. Always measure correctly. This screen is easy to put together. I couldn't find a way to install the crossbars I ordered, so I skipped that part and it looks fine without. My only issue with the screen is that I cannot see out of it almost at all. I will be ordering more, but will drop to the 80% instead. This stuff is worth it's money, especially if you have large west facing Windows! I bought the 80% kits for sun room just air conditioned. The morning direct sun was still making the room too warm and the 8 large panel solar screens block/reflect sufficient heat. The a/c now controls the room. Due to the limited hours of exposure and maximum effect of screens are against the direct sun and not ambient outside temps, we calculated the 80% would do the job with less visual interference and we were right. A second purchase was for a family members home which has solar glass reflecting the south and western sun onto two areas of vinyl siding with the heat severely deforming the siding. 6 screen kits covering the suspect windows should protect the repaired siding from future solar heating. The ordering was simple, kits complete and accurately measured for custom fit. Videos were vital and helpful but did assume a greater knowledge or experience than I possessed and such things as screen alignment and tension were troubling to me but they worked. And Buddy was with me every step via email, answered each inquiry, helped analyse my project and provided overall great support. I recommend these products and this company. I ordered solar screens from these guys 3 times. The first order was sent at the right size, and the second two orders were cut at the wrong size. Good quality materials, but wrong cuts create more work for the customer. We're so sorry the 2 orders weren't perfect. We've not had that issue in the past, but we did send replacements right away. Thanks for being so patient! Would prefer they come pre-assembled. Assembly is difficult if you want the screen to be stretched tight so there are no waves or bubbles and the frame be square so it fits in your measurements. I would have gladly paid extra for it to come assembled. Quality seems good but just not seeing how the average person is expected to properly install the screen to the frame. Seems easy enough right? Not really. You'll see what I'm talking about. I put the fabric inside and over the windows in my RV here in Arizona and it made a big difference in the temperature. It works great ! I recently ordered brick clips from two different companies and found that these Brick Clips were made with heavier gauge metal than competitors. I am very satisfied on how well they keep in my solar screens. Great product! Very difficult to roll in due to the 90% screen thickness and toughness even by someone like me who has done screen before and has a really good roller. Had to do de-burring on all frame ends - not my job, should have been done by SSO - and one screen panel had a blemish unnoticed until installation; should have bee inspected at SSO. Also, expected mitered corners, not square, but still looks very good. Arrived on time. Measurements of all materials were correct. Assembly was easy, as advertised. It was the second shipment that I got that was opened upon delivery. So I have to guess that you just don't package your shipments well enough. Luckily this time nothing was missing. I do like your product though. So sorry the shipments were damaged, Lloyd. Normally, we don't have this issue but sometimes the package handlers are less than careful. Thank you for the feedback. I really like my new screens. My bedroom is so much cooler than it was last summer. Now I can do away with the dusty blinds and just use sheer curtains. They were pretty easy to put together and I had no problems with the measurements. Finished screens fit almost perfectly. Will be ordering more for the kitchen. I followed the instructions for measuring the window, my two brick windows, but the finished screens are 3/4 of an inch narrower than the open. There is a gap along the side of both screens which looks terrible on the front of the house. NOT happy with finished product. Hi John, so sorry about your less than stellar experience. This is actually normal when using brick clips, but we'd be happy to send you replacement screens at no charge with a different mounting method so the finished product is up to your standards. Easy to assemble, just a little time consuming. Spline rolling tool a must for assembly. Happy with purchase. Purchased screens for 7 windows. Was able to build and install all of them in one day. They look really great from the outside and provide privacy unless you get right up on them. From the inside they definitely allow less sunlight and the front room, which faces west, is noticeably cooler. I had a few questions prior to purchase and they were answered within 24 hours by the Boss. Screens shipped in a few days and arrived neatly boxed. The hardest part was unpacking all the materials. I would highly recommend Solar Screen Outlet. Wooden handle roller is much better then the plastic ones you get at hardware stores. I was very happy with my recent purchase, and thought the whole experience was excellent. Three 24x48 windows - dark black - has to trim an 8th inch off the vertical. But the overall fit was perfect. Didn’t use the brick clips. Industrial Velcro instead. All parts were cut perfectly and I was astonished how short a time between my order and delivery to my home. Excellent videos on HOW TO! Way to go guys. 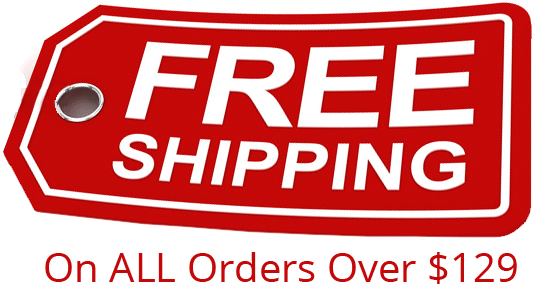 Great product and fast shipping. Thanks Guys. Great window very fast shipment. Great communication. Thanks.